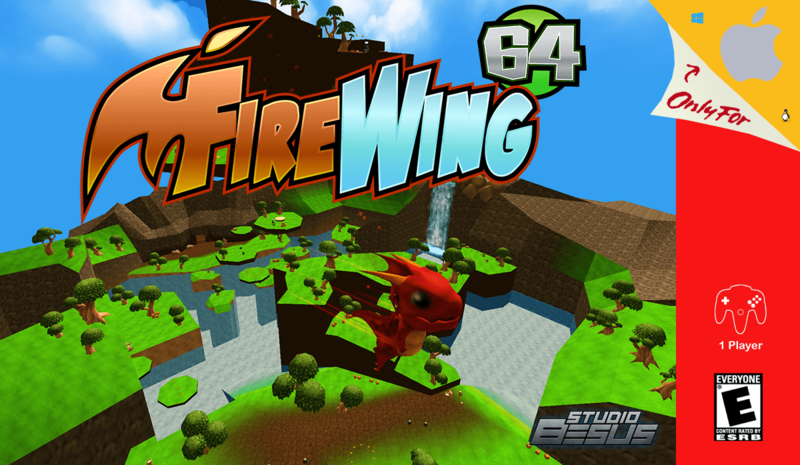 Apologies for the delay there Mac gamers, but I finally had a chance to test the Mac OS build of Firewing 64! With that having checked out, I added the Mac build to itch.io, GameJolt, IndieDB, and of course, here! Fixed a couple of minor issues and added a Linux build to the mix! Grab their respective version on itch.io, GameJolt, IndieDB, or below! A dash ability – hold down (what was previously the ground pound button) to nearly double your run speed! Granted you can’t attack while dashing, so be cautious! Faster attacking – no longer bound by an attack every second! Easier to jump on enemies – larger hit boxes and a reduced size on their attack boxes makes them much easier (and fun) to jump on! Couple other minor tweaks (holes in the level geometry for example). Firewing 64 is also now on Itch.IO! Oh and I created a trailer for the game as well! If you are familiar with my original project (the one that taught me how use Unity and to program) Besus: Journey for Vitality, you should know I’m a huge fan of the 64-bit era of 3D Platforming games. That being said, I decided to do one in the style of a Nintendo 64 game, including low polygon counts, hard edges, and over-blurred textures! While it may just be single level (albeit it a large one), there is plenty to do and to collect! So give it a shot (download link below) and let me know if you find any bugs or have any suggestions as to how I could improve it! Download Firewing 64 (version 1.0)!